Neyland 1st X1 entertained Monkton Swifts on Saturday at the Athletic Ground. The nomads were without 4 regular first team players – two injuries, one suspension and a family commitment. The Nomads had won the away encounter at the start of the season but have learned not to make assumptions regarding the return fixtures. The first twenty minutes was taken up with both sides measuring up the opposition although the homesters did have the better of early encounters. It was in the 21 minute the Neyland took the lead with a well taken goal by Mikey Chandler. The striker was in the right place to add a second before the break. During the second half Neyland continued to press but didn’t succeed in creating too many chances. But mid way through the period, extensive pressure and an accurate cross led to the Swifts putting the ball in their own net to make it 3-0. The Nomads seemed to sit back on this lead and their lack of fluid play allowed the visitors to sneak a goal back with 15 minutes to go. 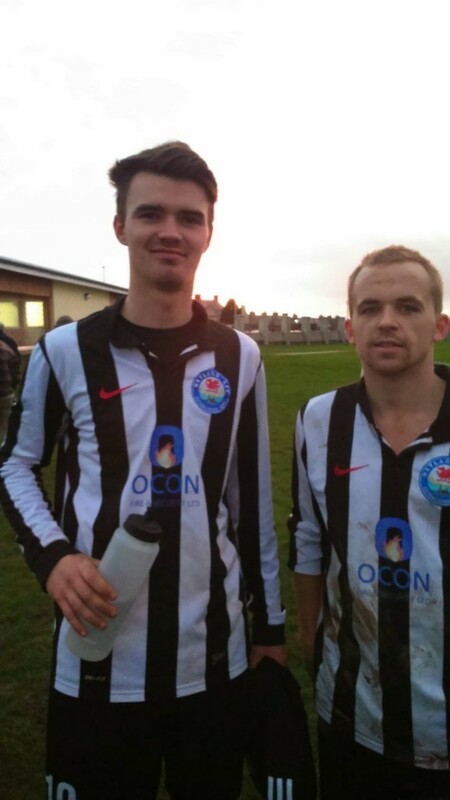 But five minutes afterwards a good forward move led to good inter-play between Leigh Power, Sam Laugharne and Gary Power which led to a fourth goal for Neyland. However the Swifts didn’t give up and after a defensive mix up in the Neyland box they capitalised and scored a second goal. So the final result was 4-2 to the Nomads who sit nicely in 5th position in the First Division. Team: Patrick Hannon, Jarred Campbell, Sean Hannon, Nicky Koomen, Scott Jones, Nathan Warlow, Gary Power, Henry Durrant, Aaran McQuillan, Mickey Chandler, Leigh Power, Joe Craxford, Sam Laugharne. This entry was posted in Sports on December 22, 2014 by admin.